The city administration intends to construct a joint post in the BMW Park area, Tanjung Priok, North Jakarta. The post is built to sterilize location from illegal buildings. "If not, illegal buildings will be rampant and disturb stadium and interactive park construction at the site "
Head of Jakarta Financial and Asset Management Board (BPKAD), Heru Budi Hartono stated the post construction is a suggestion from Regional Office (Kanwil) for Jakarta National Land Agency (BPN). They suggested, it is a must for sterilizing the park from illegal buildings. "If not, illegal buildings will be rampant and disturb stadium and interactive park construction at the site," he stressed, Monday (4/20). 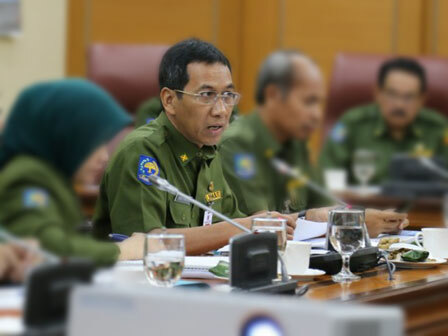 To smoothen it, he continued, his party will involve the Indonesian Army (TNI AD), police, and Satpol PP. "I will involve police, army, and Satpol PP to smoothen our project. Thus there are no more citizens come in or out the park," he continued. Not only that, he uttered, his party also keeps overseeing the development of BMW park legal status by holding a meeting every month along with Regional Office for Jakarta BPN. He added, until now, his party is still waiting for the certainty of BMW Park legal status thus its construction could be continued without obstacle. "There are some suggestions as well. No status quo as the one sued is the certificate, so the construction is supposed to keep conducting," he disclosed.